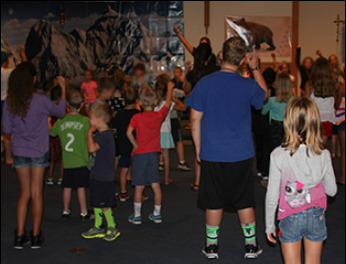 The fun will begin in the Sing & Play Savannah each day at 9:00 am and wrap up at 12:00 pm for grades K-5th grade. Preschoolers begin their adventure each day at 9:30 am and wrap up at 11:30 am downstairs at Little Paws Preschool. Parents, guardians, grandparents, and friends are invited to join in the Sing & Play Savannah each day at 9:00 am for a daily exploration of God’s Mighty Love!